Of course, this trend did not happen this year alone — it has been building for many years. But 2017 is the year it all came together in a major way. As one who began in video in the mid-1970s, I’ve seen cameras shrink from the gigantic $55,000 RCA TK-76 “portable” television camera (weighing 19.8 pounds with no lens, battery or recorder) to this year’s Apple iPhone X, a 4K video camera/recorder costing about $1000. Only having worked with all this gear along the timeline since the 1970s, can one fully appreciate the radical level of change we’ve gone through. Not only has the weight, cost and convenience factor gone way up, the quality has dramatically improved. 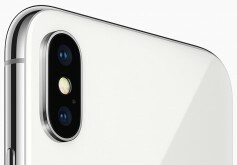 Plenty of tests have shown it can be hard to distinguish well-made video shot on an iPhone X with a far more expensive cinema camera. It’s not just cameras. LED lighting has transformed the art of light and shadow in making creative video. Tripods and camera mounting gear have been transformed with cameras of smaller size and lower weight — allowing some remarkable effects. Audio equipment has gotten smaller, better and lower in cost. Even equipment cases have gotten more intelligent for those working with the new gear in the field. It took ten years, but Apple struck gold with its new iPhone X in the video department. It excels in low light, has improved dual camera video stabilization, 4K video up to 60fps and 1080p slo-mo up to 240fps. The Apple-designed video encoder provides real-time image and motion analysis for optimal quality video. It supports HEIF and HEVC for up to two times compression and storage for twice videos and photos. It is not designed for top flight professional video production, but for local television news, documentaries, local commercials and other projects, the iPhone X can perform miracles in skilled hands. There were some outstanding new audio products introduced in 2017. Sound Devices new MixPre-3, -6 and 10T set a new standard for high quality, small size and low cost in compact audio mixers. The new Kashmir preamps in the mixers brings high-performance, ultra-low-noise, discrete, Class-A mic preamps to a line that starts at $650. For feeding audio to iPhones, there are many new interfaces. Two outstanding ones come from Zoom and DPA. 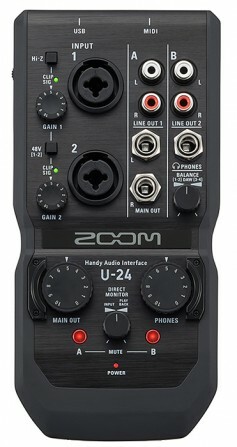 Zoom’s U-24 ($119.99) is a compact two-in, four-out audio interface that provides all of the essential tools one needs for mobile recording with high resolution, 24-bit/96 kHz audio. It works with iPhones, iPads, Macs and PCs via USB and ideal for two person interviews. DPA d:vice MMA-A Digital Audio Interface. DPA’s d:vice MMA-A digital audio interface ($659.95) is about two inches in diameter, yet captures two channels of high-quality audio to an iOS device or laptop. Recording can be in mono, dual mono and stereo, making it also ideal for two-channel interviews. It is compatible with MicroDot-equipped DPA microphones and works with most third party apps. Another breakthrough audio product in 2017 was Zoom’s LiveTrak L-12 mixing console, priced at $599.95. This small console can record 12 individual channels onto an SD card, create custom headphone mixes for up to five users, incorporate studio-quality effects and can serve as 14-in/4-out USB audio interface for an iOS, Mac or PC device. All this and its about the size of a laptop computer weighing under six pounds. Each of the channels of the LiveTrak L-12 features a three-band mid-parametric EQ and 16 built-in effects. Eight combo jacks accommodate both XLR and ¼-inch connectors and have dedicated compressors. The preamps are first rate. What Zoom did earlier in their portable F8 recorder, they have done again in a different form factor and at an unheard of cost. LED lighting of all sizes came of age in 2017. Brighter illumination, smaller size, lower costs and greater accuracy have come from a wide range of manufacturers. Now, most video shooters can run their lighting on batteries or a very low amount of AC current. Heavy power requirements are a thing of the past. One of the most outstanding new LED lights came from Litra, a new company based in Austin, Texas. Litra’s LitraTorch is a marvel of size and flexibility. 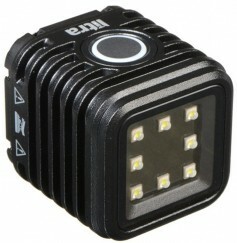 A 1.5 x 1.5-inch cube, the Torch provides 800 lumen of continuous, high quality light. It can be set at 800, 450 and 100 lumens and has an ultra-wide beam angle to match wide angle lens formats. The LitraTorch has a 5700 daylight Kelvin temperature and offers a flicker-free, smooth light pattern. It’s built-in lithium-ion rechargeable battery is charged with an included Micro-USB cable. It is waterproof, drop proof and has military spec-quality aluminum construction. It comes with a range of accessories and costs $79.95, though it’s on sale often. Surveying the equipment landscape in 2017, we find smaller, better quality gear at lower prices. 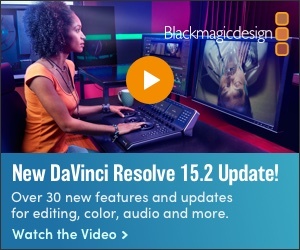 From small format video production to audio recording, there has never been a better time to get started at a professional level. Of course, being able to afford high-quality gear, does not negate the skills needed to operate the gear. This has long been the problem with the democratization of all technology. It opens the door to anyone with a few bucks in their pocket. But with the bad comes the good. For those willing to learn the craft, however, it is easier than ever before to get a foot in the door. But quality work comes with the personal price of learning to use the gear.